NOTE: You must be 18 years of age, able to swim 200 yards and tread water for 20 – 30 minutes. You will be asked to sign a waiver. 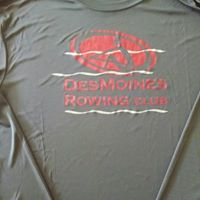 You’ll first learn the basics of the stroke on the erg (rowing machine), rowing terms, parts of the boat, and how to lift and maneuver the boat. Next, you’ll go out in an eight-person boat with an experienced coxswain, stroke and bow rower. 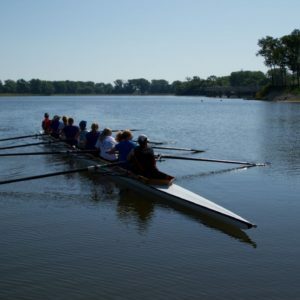 You’ll apply the same basics of the stroke you learned on the erg and become familiar with a few basic commands from the coxswain. There is no commitment to join the club by participating in Learn to Row Day.